The stunned owner of the house, Annette Swoffer, thought she was hallucinating when she found the pup in her kitchen, hanging out with her cats. Miss Swoffer called the Society for the Prevention of Cruelty to Animals—who struggled to believe her at first. 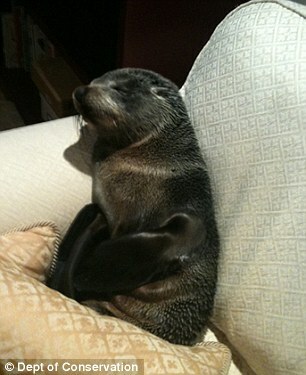 ‘They were giggling away and I’m saying “I’m not drunk, I’m not lying, there’s a seal in my house”,’ said Miss Swoffer. 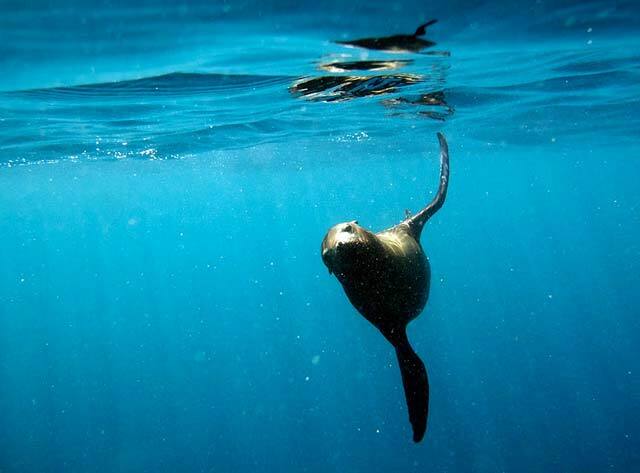 lowjumpingfrog/FlickrThis reminds me of a filming trip I made to to Mexico’s San Ignacio Lagoon many moons ago when an immature sea lion crawled up the ladder onto our live-aboard boat, hopped into a cabin and onto a bunk, where he fell blissfully asleep. For the next week, he came and went from the boat as he pleased, returning in true Goldilocks-fashion to one bunk or another. In the end we had to forcibly (gently) evict him before sailing north to San Diego.